Did you know that 1 out of 5 couples who tie the knot in the US meet online? If you’re looking to settle down and start a family you definitely need to open an online dating profile ASAP and start your journey towards happily ever after. Let’s see how you can go from single to married in 3 easy steps using online dating services. Online dating industry is one of the fastest developing industries in the world so it’s no wonder it’s got a lot to offer to its clients. There are numerous really good online dating sites in the US, and it can be a little overwhelming to find the right one. That being said, this is your first and the most crucial step for going from single to married in no time. Thus, invest your time and effort accordingly and find the right website that caters to your specific needs. One of the first things to look for on an online dating site is the number of users in proximity to you. The rule of thumb is to meet people who live within 60-100 miles from you because anything else basically constitutes as a long-distance relationship and requires relocating, which can be rather tricky in the long run. The next thing to look for is the number of users in your age group. 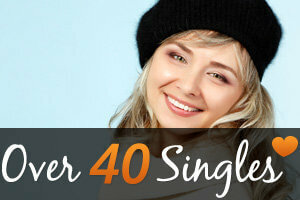 Most sites are filled with people who are 25-45 and if that’s your target age group, you are definitely in for a treat! 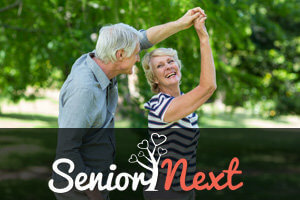 If not, you need not worry because the niche that is developing the fastest in the online dating industry is 40+ dating, so you have plenty of choice when it comes to picking the right dating site. In order to meet the one you’ll have to go on as many dates as you can. Don’t hesitate to meet new people and consider going out with someone who may not seem perfect on paper for you because you never know where those hidden gems can be found. In order to do all this you’ll need to regularly update your profile. Your profile photo is your ticket to as many dates as you can handle so you need to choose it carefully and update every once in a while. Typically, your profile photo should be your headshot and depict you as an outgoing, down-to-earth kind of person who is approachable and attainable. In terms of the information you post on your profile, keep it simple, concise and engaging. People like to read short interesting lines about others so write accordingly. Although most online dating sites in the US have state-of-the-art algorithms that produce compatible matches on a daily basis according to the information that you provide in your profile, experienced online daters advise not to solely rely on technology. Be proactive in your search, browse through the member base and do not hesitate to contact people that seem as a good match. Online dating is essentially a numbers game. The more messages you send the more replies you’ll get, and in turn go on more dates. Don’t just sit around and wait for a miracle. Take matters into your own hands! Your happily ever after will be that much sweeter!